A fatal crash on Highway 17 in the Santa Cruz Mountains brought traffic to a halt during the height of the Thursday evening commute, according to the California Highway Patrol. 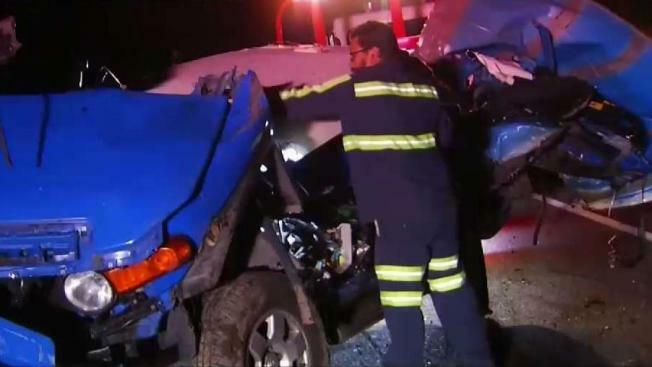 The vehicle had been traveling recklessly on southbound 17 before the crash and nearly hit several other vehicles before slamming into a tree just south of the Redwood Estates exit, the CHP said. The driver was ejected in the crash and died at the scene, the CHP said. Traffic was backed up for about 7 miles just after 7 p.m. as the CHP investigated the fatality. The victim was not yet identified. The southbound lanes reopened at about 11:45 p.m.